Don’t wait until everything is just right to give God thanks, praise Him in the good times and in the bad times. 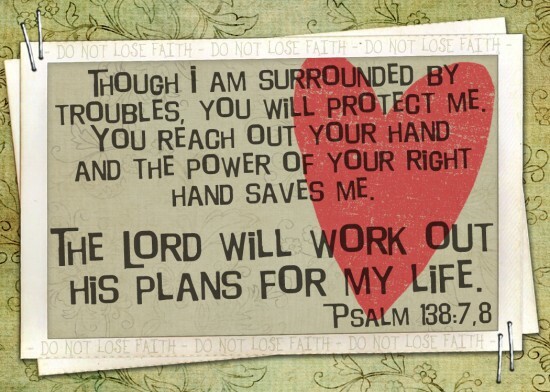 God is good in all His ways and even when we can’t see His hand in a bleak situation, be assured, God is right there. His ear is open to our cries, He is merciful. It is a conscious effort to rejoice and be glad, to say no matter what comes my way, I will praise The Lord. There is victory in our praise, it is power to lift us up from being defeated- put on the garment of praise, open your mouth and let The Lord fill it with praise. Do not go on speaking defeat over your life, speak the Word of God, let it come alive in your life, in everything give thanks. Turn your eyes upon Jesus, readjust your view. God is bigger than any problem that we may face, nothing is impossible with God. Give Him praise and thanks because He is God.